Go to EasySendy Pro SMS Dashboard. Click on Campaigns > Create SMS Campaigns or SMS Campaign. 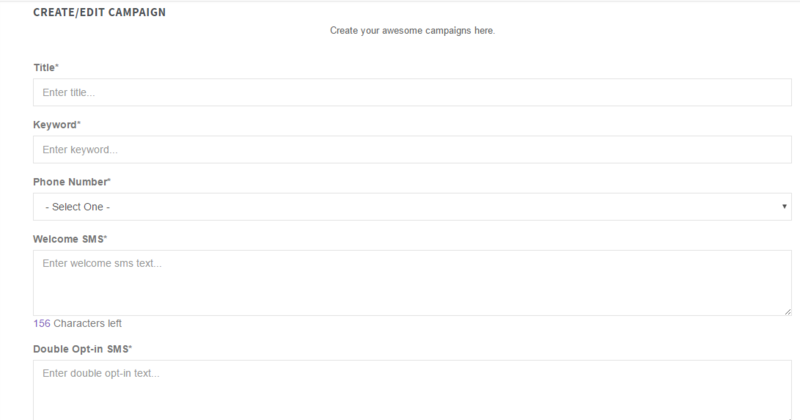 Add the Keyword which will be matched with the sent SMS from the end subscriber; and this will trigger this campaign. You can also schedule the SMS campaign.